Hammock Grove condominiums in Jacksonville, Florida. 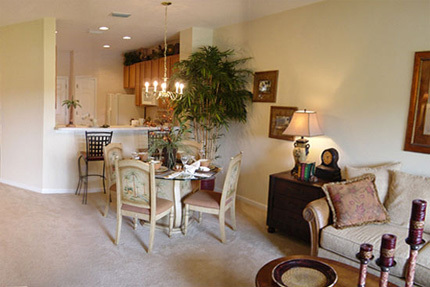 Hammock Grove is a new condominium community by Centex Homes in growing Intracoastal West area. Just minutes from the beautiful beaches and vibrant downtown of Jacksonville, this communiy is near premier shopping, fine dining and entertainment. Hammock Grove condominiums are built using sturdy concrete construction for Florida's coastal climate. Four distinctive floorplan designs offer open, light-filled rooms, spacious great rooms and gourmet kitchens. Choose from The Arbor, The Sutler, The Beringer, and The Cavarallo. Call me today at (904) 307-8998 for your personal tour of Hammock Grove.